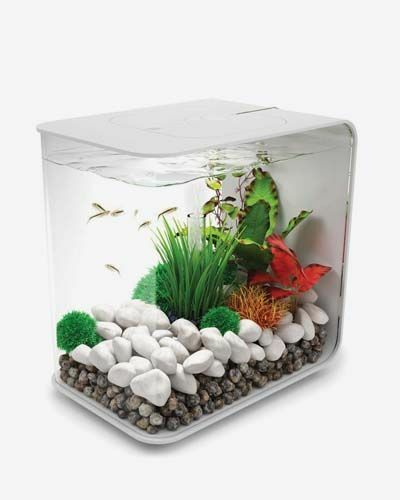 This small fish tank is a safe acrylic bowl which is 10 times stronger and clearer than glass. 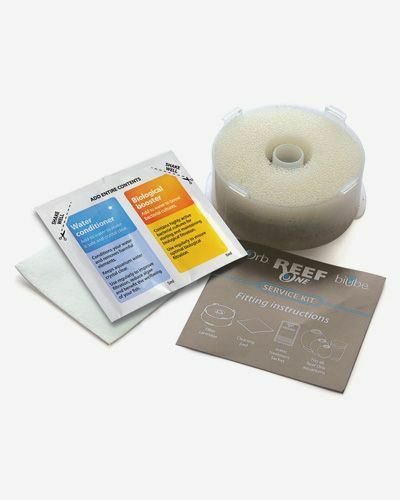 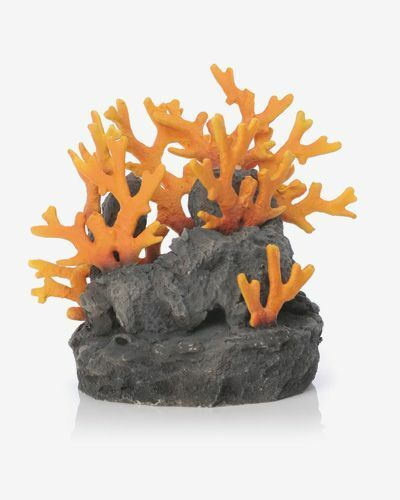 Perfect for kids and adults alike as a first aquarium. 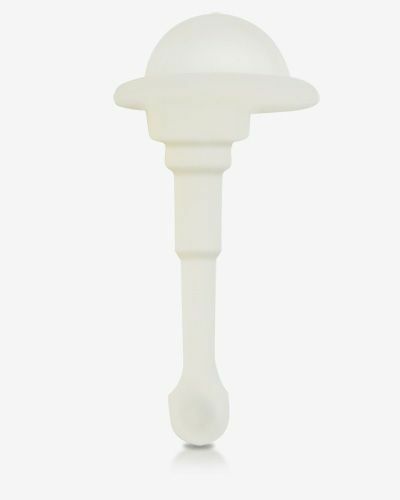 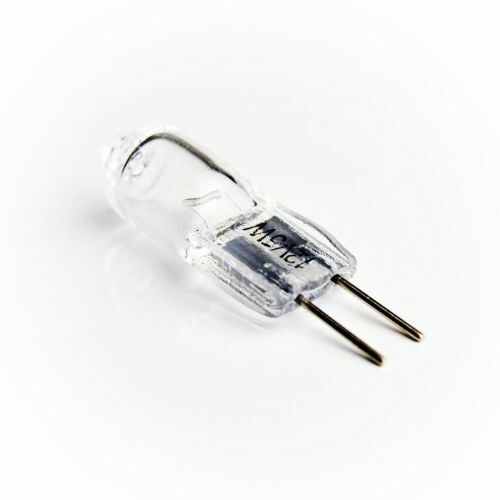 This is a replacement bulb for the baby biOrb Light. 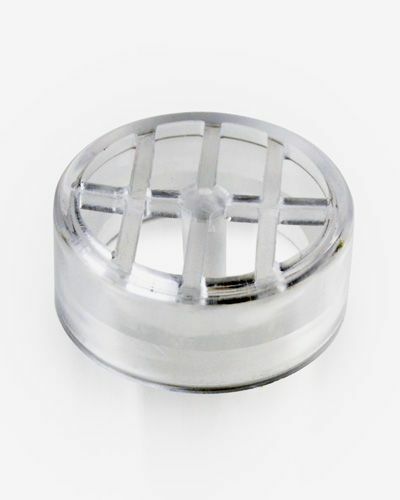 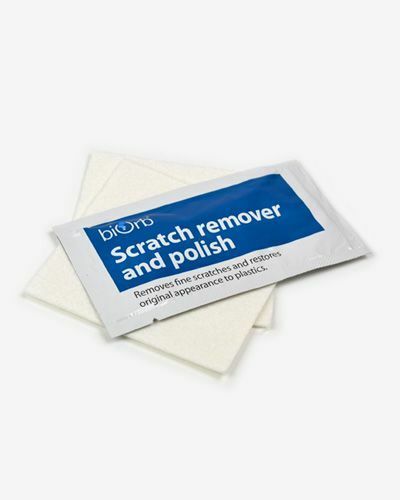 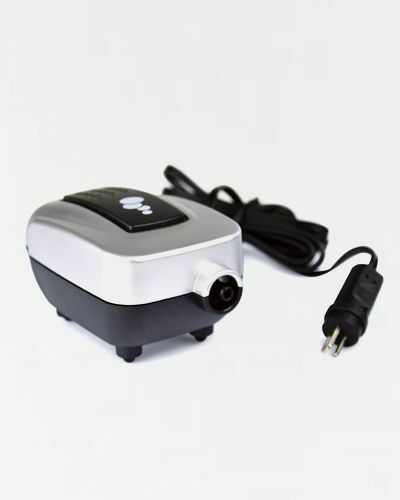 It is 5watt 12V and has a heat reflective coating to prevent damage to the light unit. 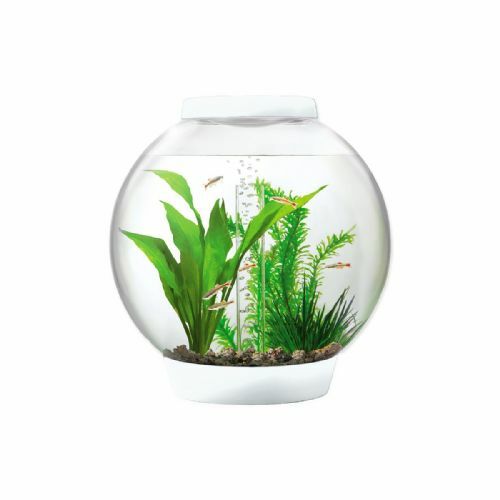 With its hidden waterline, the biOrb HALO 15 is a visually seamless aquarium and features Multi-Colour remote controlled lighting. 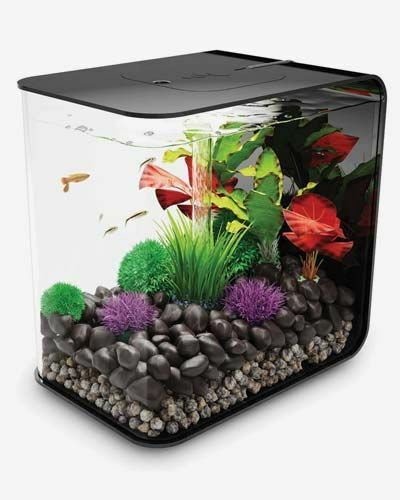 The 60 litre fish bowl incorporates a clever and easy to change filtration system that has been designed to provide maximum benefits to both fish and fish keeper. 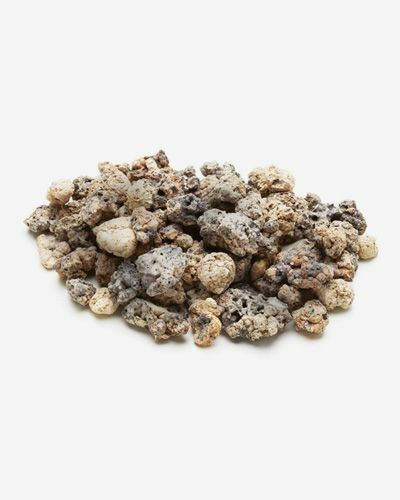 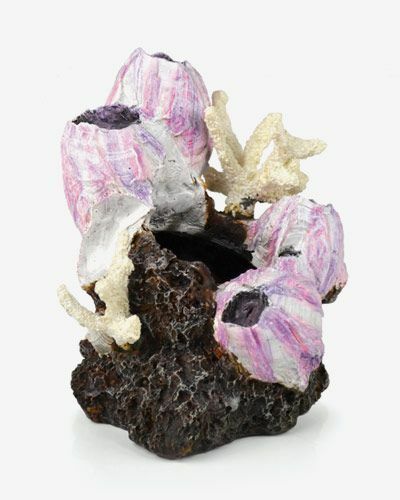 Distinguishable for its eye catching beauty, seashell clusters on a rock stump are a popular choice for aquarium hobbyists, used for their dramatic and intense appeal for instant visual impact inside any aquarium. 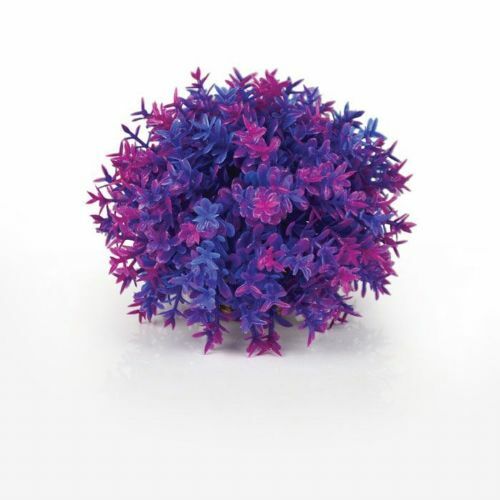 biOrb frozen branch with flowers is a colourful and almost magically decorative sculpture. 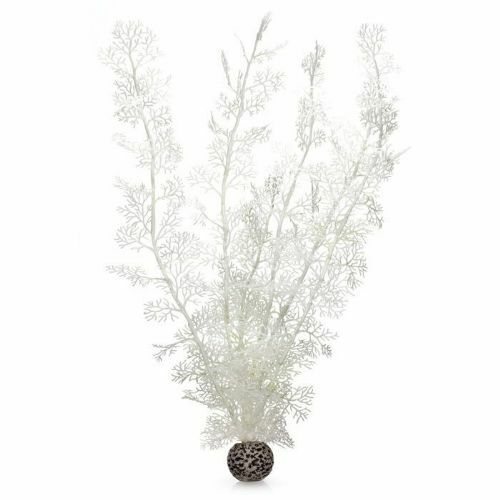 The wooden branch is designed to look like it has been frozen in the colder weather and is adorned in bright white and red flowers and decorations. 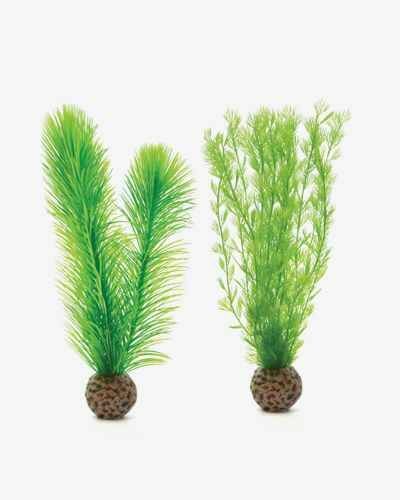 Begin your natural underwater oasis scene with this beautiful two tone neon and kelp green plant for tank decoration. 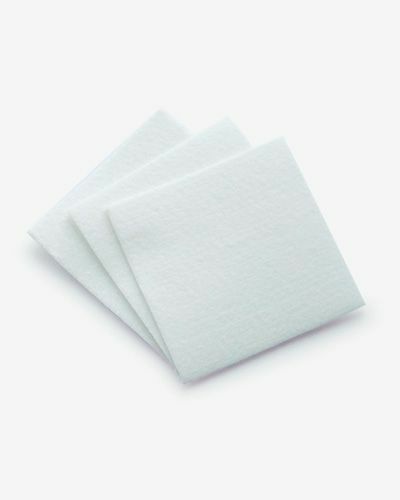 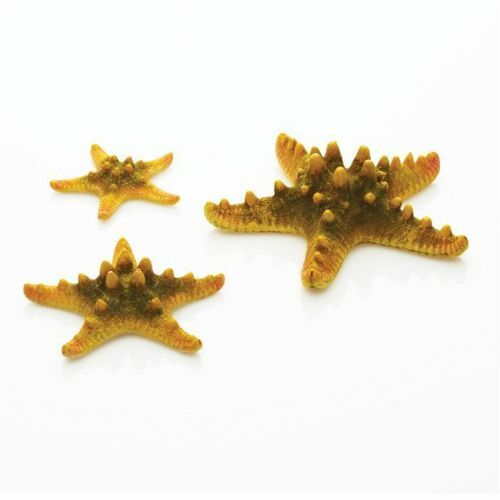 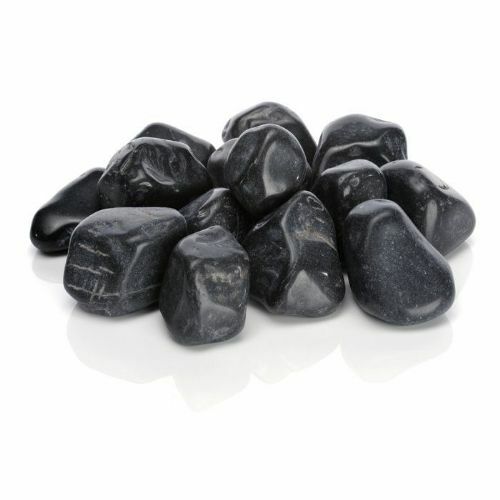 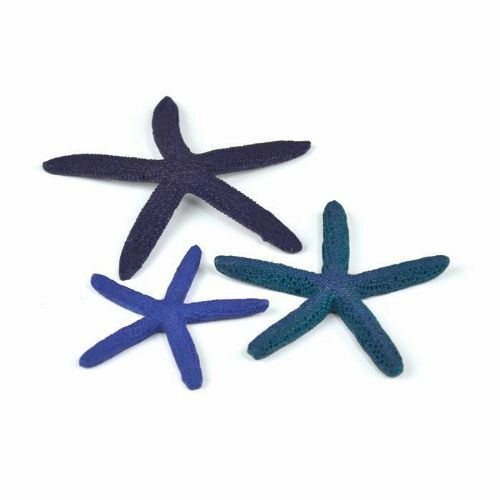 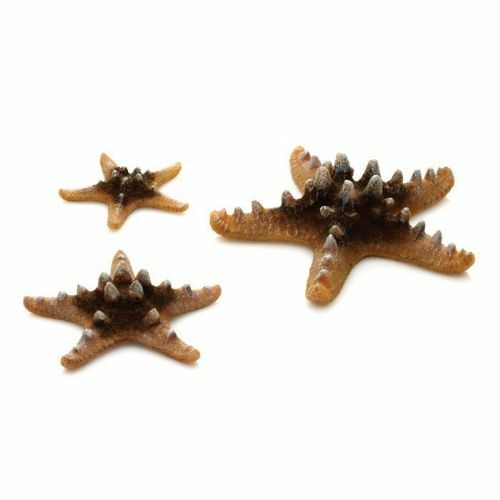 Perfect for providing shelter for small fish or fry, these tasteful and refreshing weighted plastic pieces come as a pair to give your tank the illusion of fertility and realistic growth. 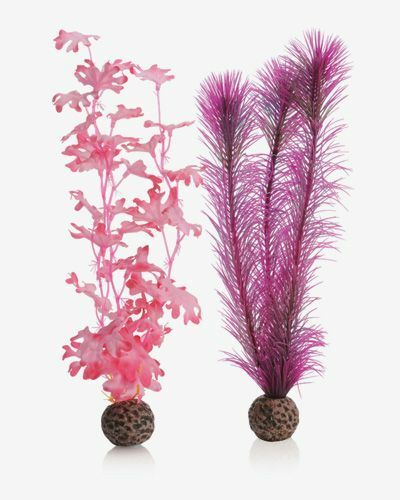 The Biorb Fan Coral Medium makes for a bold statement centrepiece which boasts attractive natural shapes and is versatile therefore fits into the BiOrb Life 30, 45 and 60. 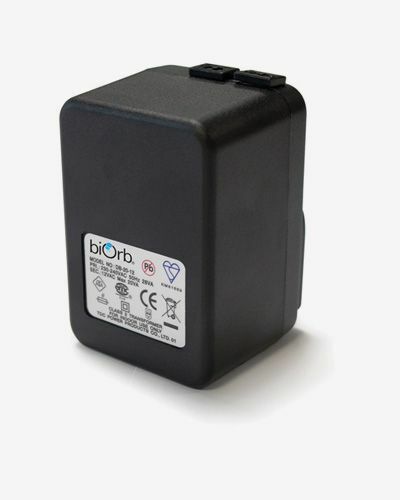 For your peace of mind, the light and pump are low voltage and both are backed by a 12 month guarantee. 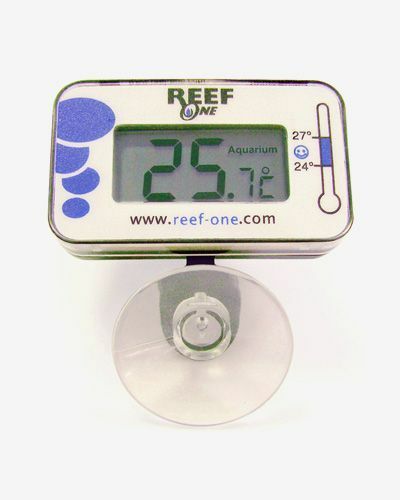 The aquarium itself is made from acrylic which is ten times stronger than glass. 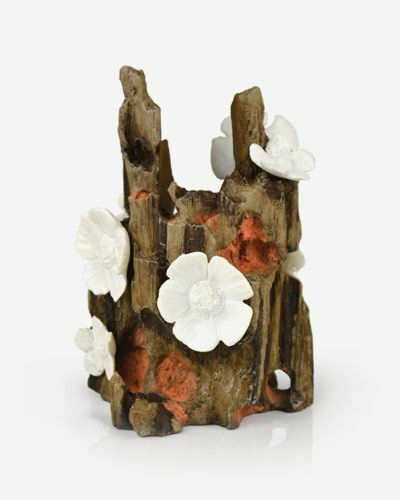 From along the woodland floor the stunning Flowers on Wood Ornament is a perfect addition for coverage at the bottom of your fish tank. 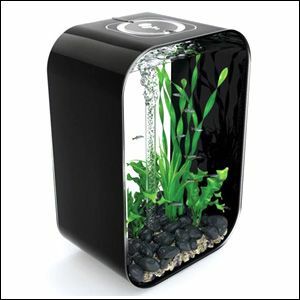 Now it is possible to fill your aquarium with sophisticated focal features without the need to care and maintain them! 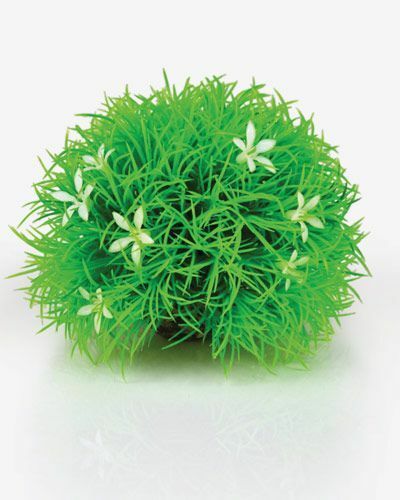 A smaller, yet luscious and dense piece of aquarium foliage perfect for your BiOrb Life 15L aquarium or other small tank. 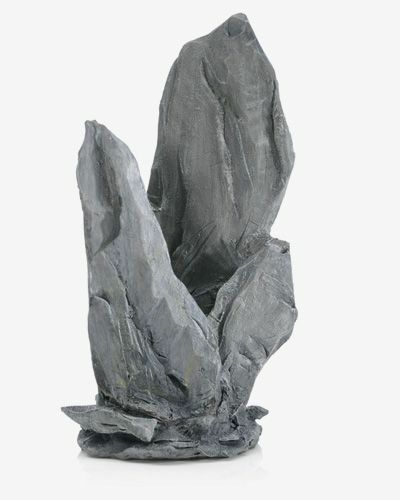 An impressive and formidable structure which is inspired by the Neolithic era of stonehenge. 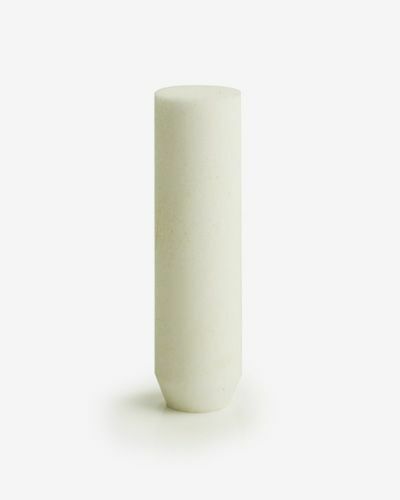 Angular and linear, this block of neutral colour is an ideal simplistic start to your BiOrb tank display. 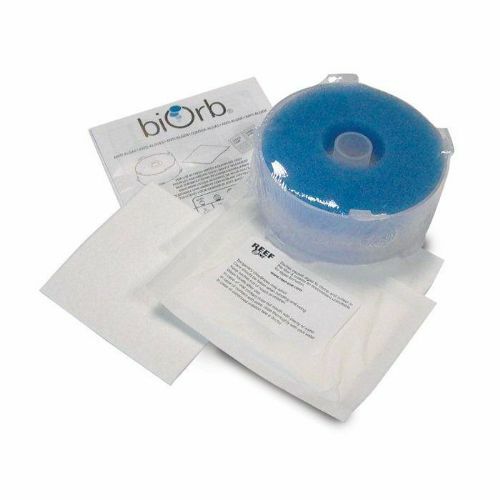 The biOrb HALO 30 has two versions of LED lighting. 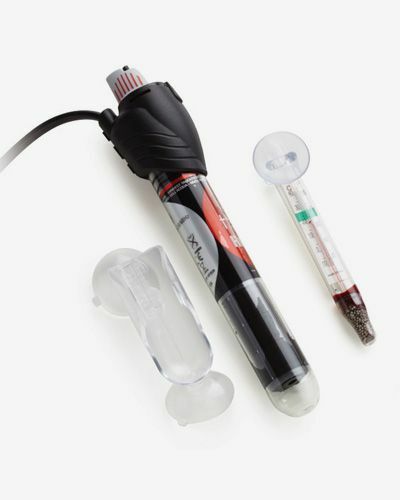 A standard version has a biOrb LED light above the bubble tube. 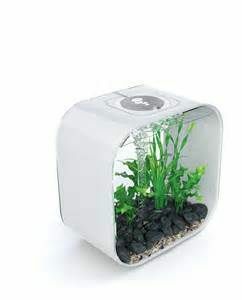 The biOrb HALO 60 is fitted with a ring of LED lights to give the contents of the aquarium a real 3D appearance. 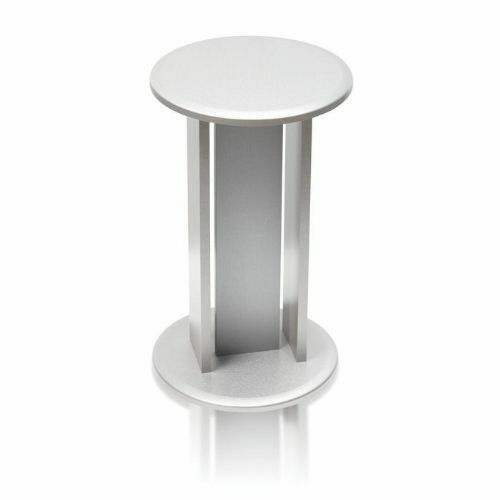 At night the halo version automatically switches to the calm moonlight setting. 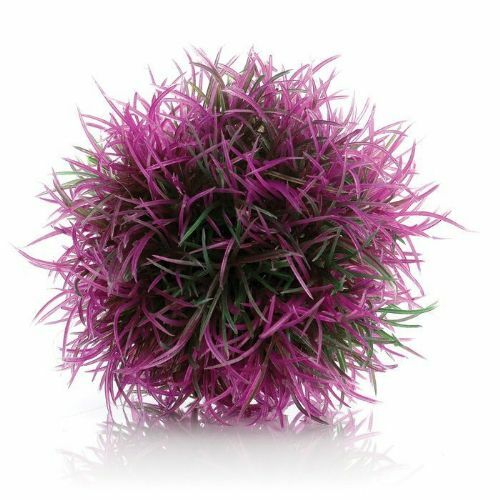 This Biorb Red Reef Ornament suitable for biOrb 60L, biOrb 105L, LIFE 45L, LIFE 60L and HALO 60L aquariums. 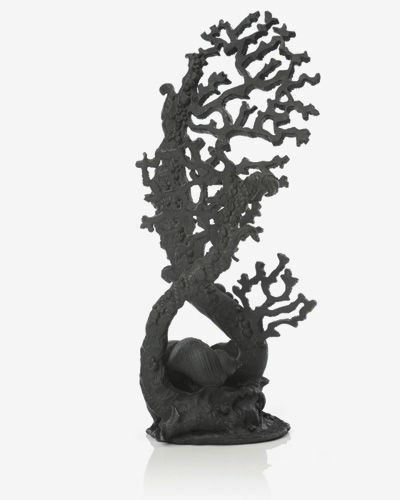 It replicates the profile of the abstract structures found along the seabed itself. 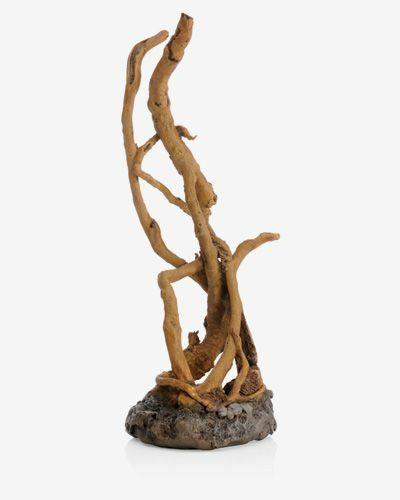 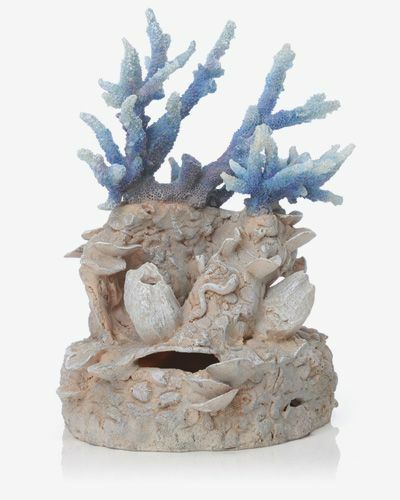 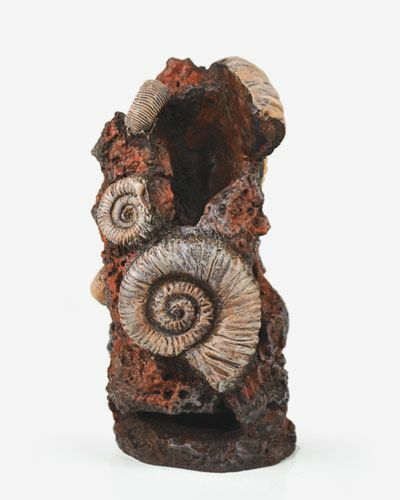 For the most natural and pure tank display, this simple yet realistic sculpture is crafted to blend in with the flowing nature of water, and wrap around the filter tube. 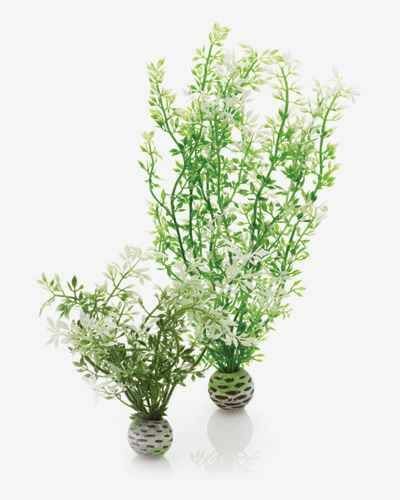 Designed artistically by Samuel Baker, indulge your sensual side by complementing the earthy tones of this ornament with some soft and subtle Biorb moss pebbles in keeping with the minimalistic scheme. 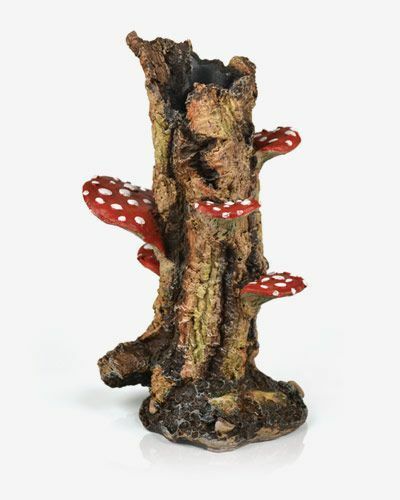 The Mushroom on Trunk Medium is inspired by the fantasy scenes and surreal landscapes of Lewis Carroll's Alice In Wonderland, this stunning fairytale tree trunk with vibrant red mushrooms growing up it provides a fresh col9our and unique detail for your BiOrb 30 or bigger BiOrb. 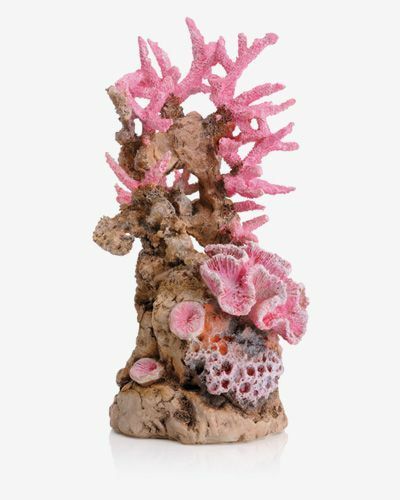 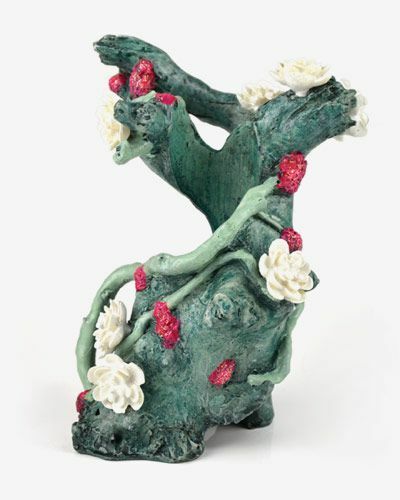 Resembling the tactile surface texture of a natural coral reef, this delicate pinkish abstract creation comprises of tentacles from a staghorn type of coral. 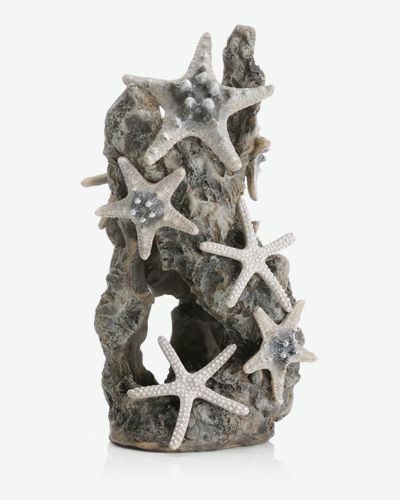 Produced for reef one by designer Samuel Baker this small, bijoux decoration adds a life like element to your display BiOrb. 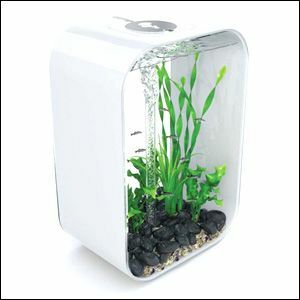 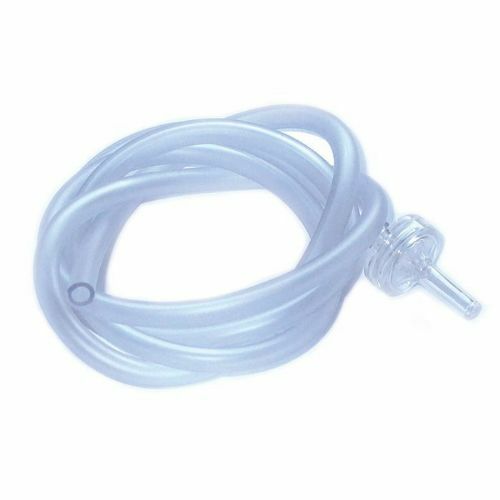 Ideal for starter BiOrb Halo aquariums in 15L or 30L. 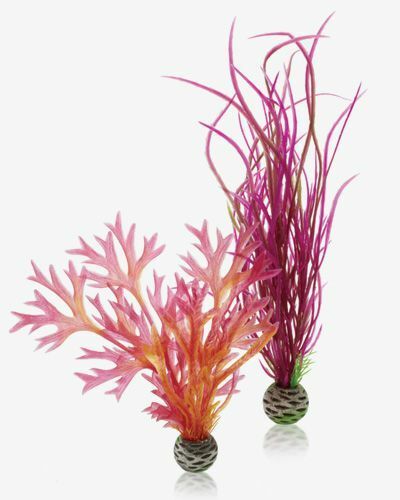 The Biorb Ornament Clamshells is a soft and frilly looking ornament, this playful shape is very pleasing to observe in an aquascaped tank, as it provides an elegant and regal form. 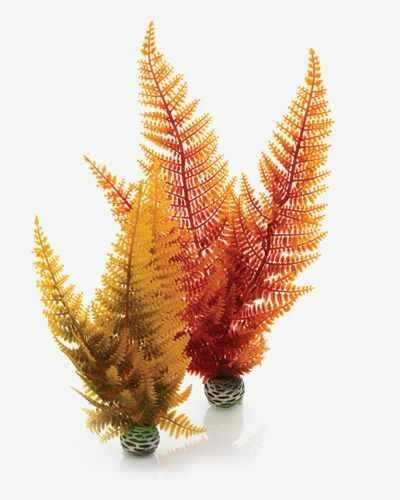 Stunning tangerine and fire shades of orange branches fan out into a dynamic composition with a brown rocky base. 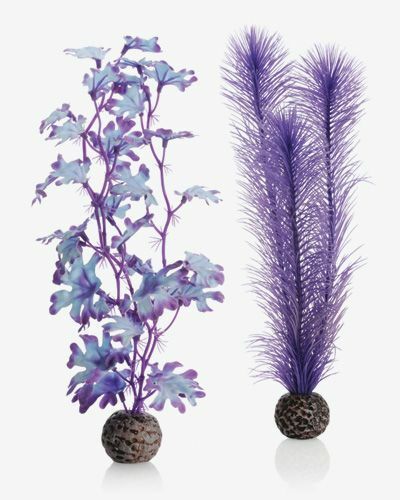 Visual impact is exclusively created for Reef One by Samuel Baker, award winning designer, and could be further emphasised with the addition of the BiOrb plant pack in blue. 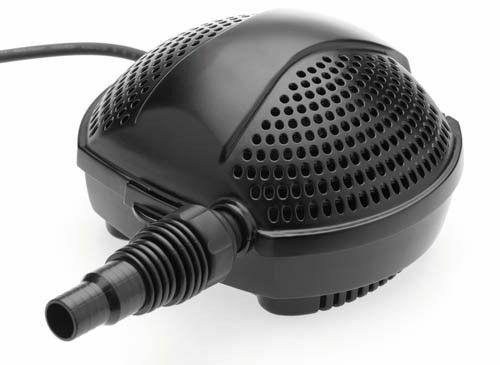 An irredescent glossy black compilation of assorted pebble sizes stylishly encompass the BiOrb 15L flow bubble tube. 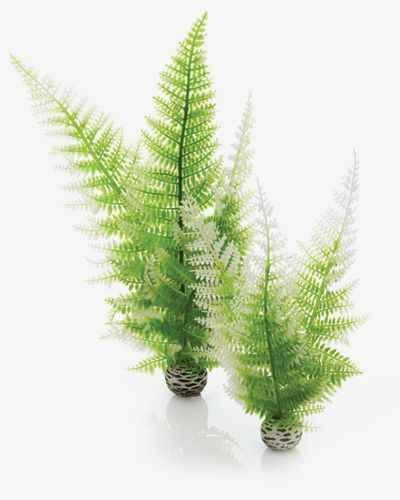 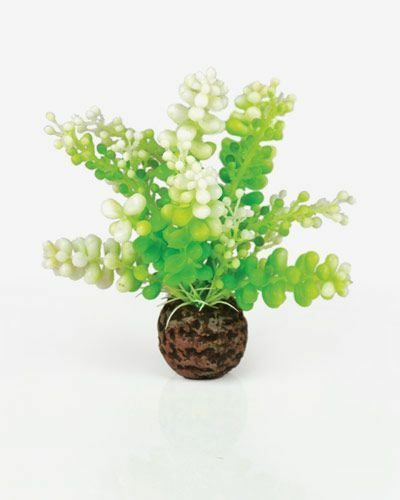 This ornate design will fit perfectly in any colour scheme, and can be jazzed up with feature colours such as that of the simplistic BiOrb green caulerpa. 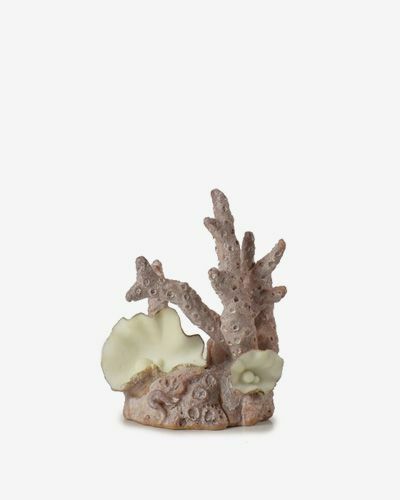 There is a relaxing, tranquil aesthetic to this ornament, whereby a peaceful atmosphere is created. 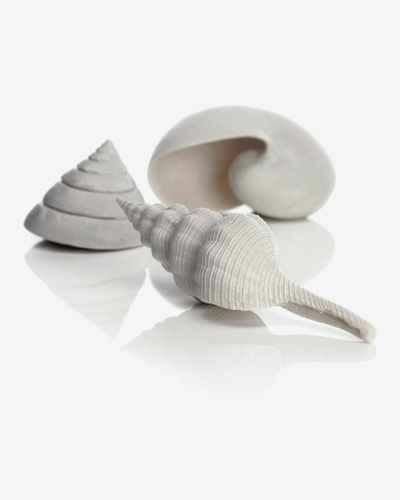 This item of classy decor would look stunning in conjunction with the BiOrb sea shells set or some neutral feng shui marbles to complement the coarse textures of this centre piece. 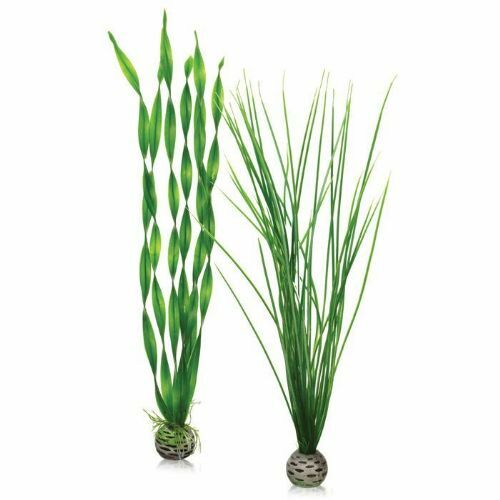 This plant features an attractive mix of iris and periwinkle shades which come together in a calming and tranquil mix of synthetic and plastic plants. 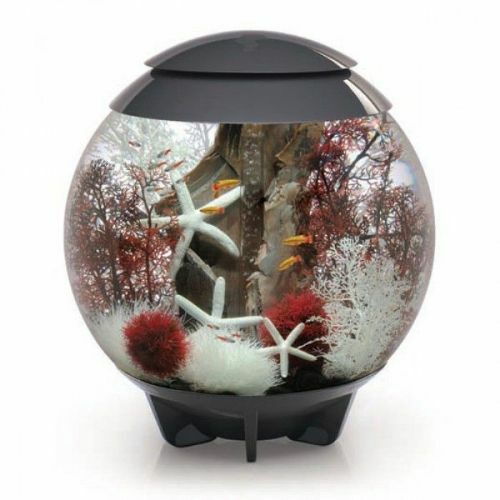 An excellent playground for all fish or fry, this stunning item of BiOrb aquarium decor is suitable for all tanks especially the BiOrb 30L halo. 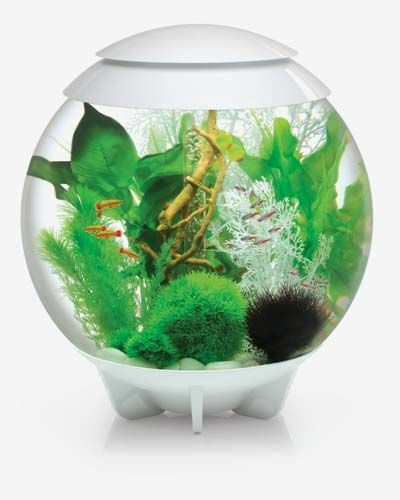 This is a colossal, grand centrepiece suited to a BiOrb Life 60L. 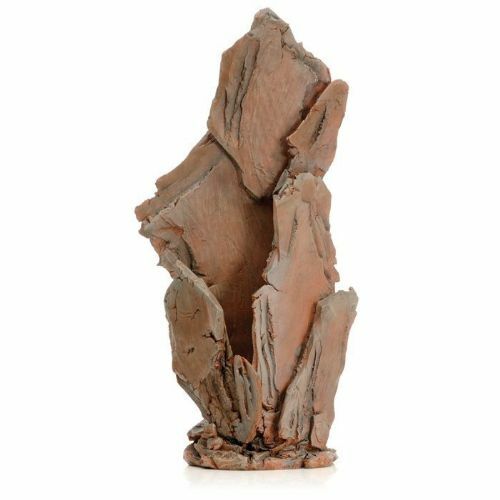 The rustic shades of this piece are a stunning terracotta, and the layers create a three dimensional and urban quarry-like visual style. 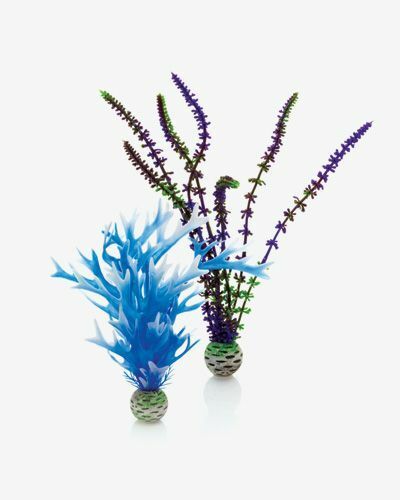 Beautiful shades of lapis lazuli balance with cream and peachy tones to create a tasteful BiOrb centrepiece. 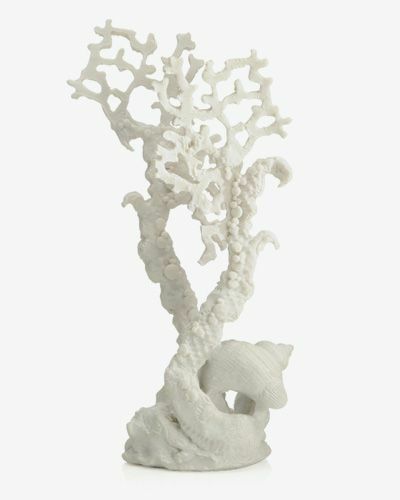 The lifelike structures are a stunning replica of the complexity of natural forms found on the sea floor. 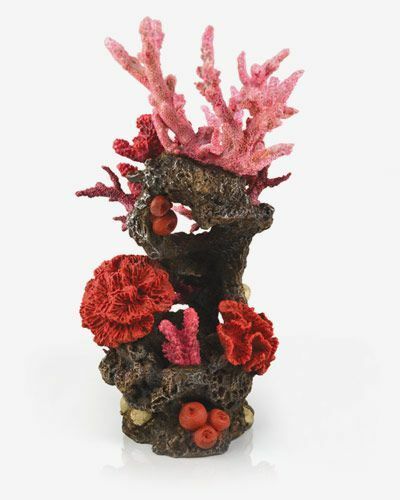 A compilation of assorted corals wrap elegantly around you BiOrb bubble tube. 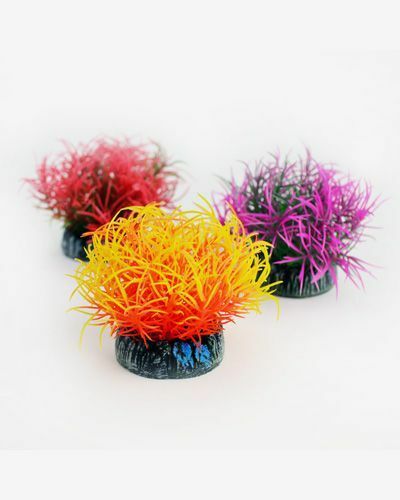 This bold and creative sculpture will undoubtedly add an injection of colour into your biorb. 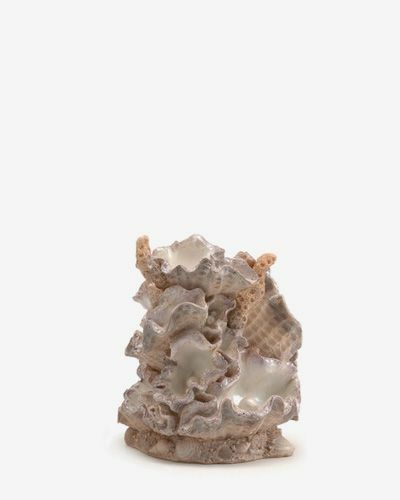 Natural forms and seabed shades are prominent features of this tactile biorb bubble tube decoration. 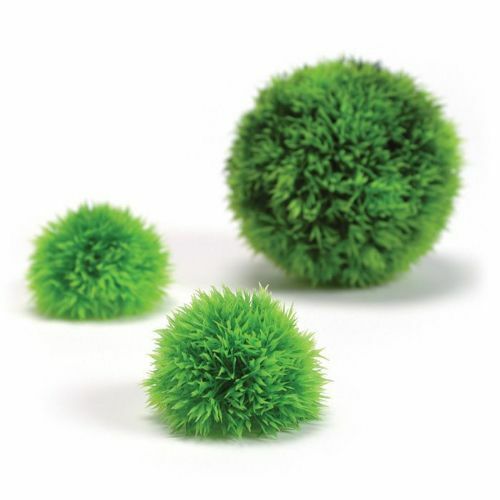 Neutral and discreet, with fun arches for your fish to swim amongst, this is a perfect starting point for developing a realistic aquascaped BiOrb straight from the ocean. 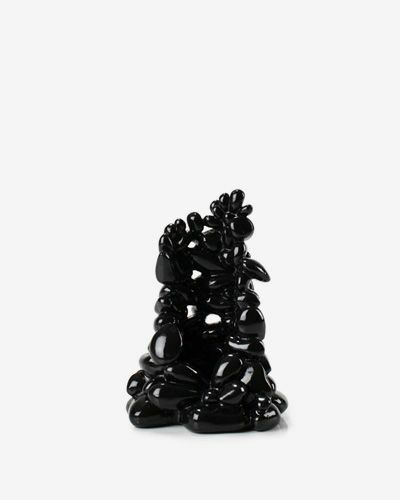 Mimiking the stunning cosmic complexity of midnight sky, this mesmerising centrepiece will transport your BiOrb across the galaxies and down in the depths of the ocean floor. 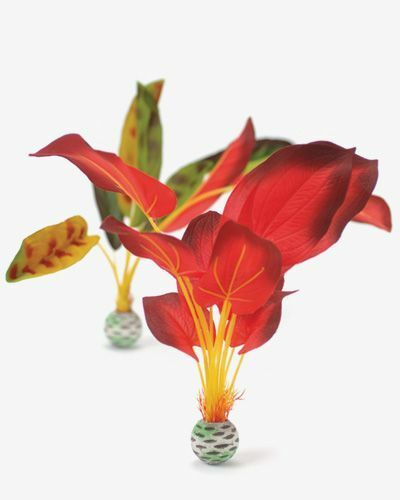 A trio of bold complementary red, yellow and green create an extraordinary blast of colour for your BiOrb aquarium. 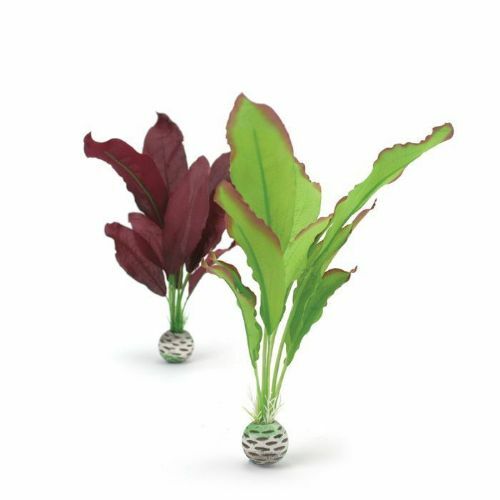 Large leaves and a self-righting design offer consistent cover even with fish who like to bury and disrupt tanks. 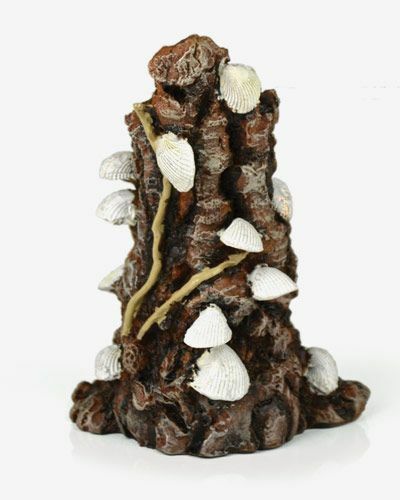 A tasteful tree stump with delicate Atlantic cockle shells arranged up a lattice of curvilinear vines. 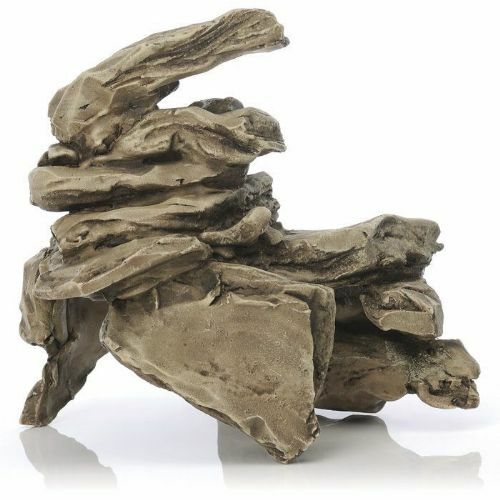 Sparkling angel white juxtaposes deep metallic ridges of bark in this artistic abstract sculpture. 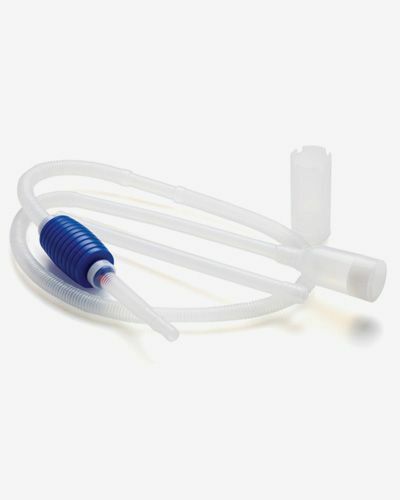 The Pontec PondoMax Eco 11000L Filter Pump is an energy-efficient, compact filter and watercourse pump that is perfect for flexible implementation for feeding pond filters, watercourses and waterfalls. 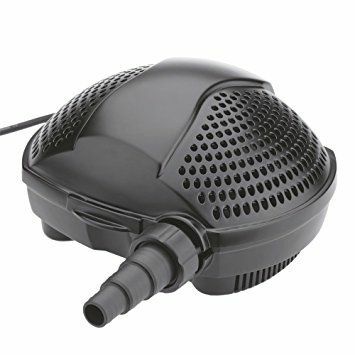 The Pontec PondoMax Eco 1500L Filter Pump is an energy-efficient, compact filter and watercourse pump that is perfect for flexible implementation for feeding pond filters, watercourses and waterfalls. 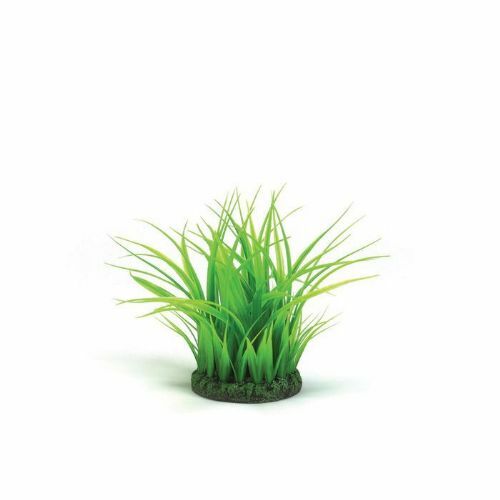 The Pontec PondoMax Eco 2500L Filter Pump is an energy-efficient, compact filter and watercourse pump that is perfect for flexible implementation for feeding pond filters, watercourses and waterfalls. 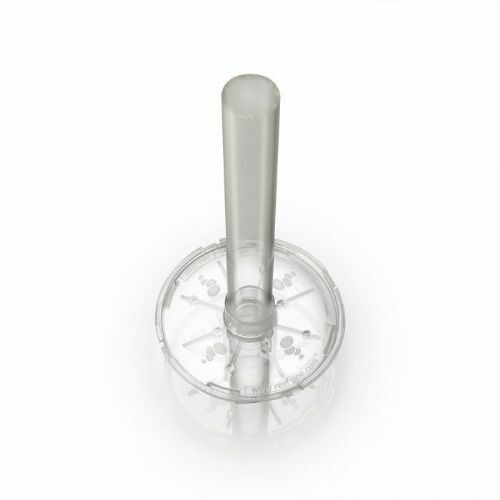 The Pontec PondoMax Eco 5000L Filter Pump is an energy-efficient, compact filter and watercourse pump that is perfect for flexible implementation for feeding pond filters, watercourses and waterfalls.